The best time to cruise Alaska is between May and September when daytime temperatures are in the mid 60's and the rainfall is under 3.5" per month. The months with the lowest average rainfall are May and June! So booking a cruise in May or June will give you the least rainy days on average. You can enhance your Alaska cruise experience if you choose the best cruising time based upon what you want from your vacation. 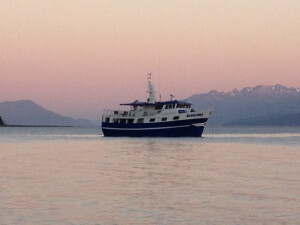 The best cruise in Alaska is a customized small ship cruise. View our Alaska small ship cruises here. When is the best time to cruise Alaska to see whales? The best time to see whales is between June and July after they have made their journey back into Alaskan waters from Hawaii. The average temperatures throughout the cruising season remain mild and pleasant in the 60s in Southeast Alaska. And with these mild and warm temperatures, wildlife flourishes, and the Alaskan landscape is alive with lush green foliage and colorful wildflowers. Alaska is a place of incredible beauty and gorgeous weather during the month of May. There are infinite reasons to take an Alaskan cruise in May, including active wildlife, blooming wildflowers, and the peace and quiet of traveling before peak tourist season. Bear sightings are nearly inevitable during May. With Alaskan black and brown bears having awakened from their winter slumber, they are active and hunting food near shore since salmon aren't yet running in the streams and rivers. 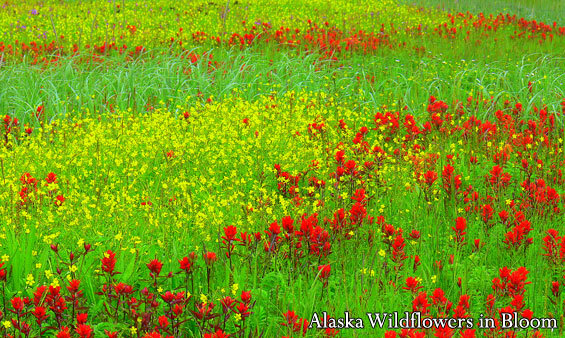 May is also when the first Alaskan wildflowers begin blooming for the summer, and migratory birds are heading in, flocking to bodies of water to settle in. And with 18 to 20 hours of daylight, there is plenty of opportunity for enjoying all there is to see, whether you are on board the Sikumi, cruising around in a kayak, or hiking a less traveled trail. Not only is there lots of daylight to enjoy, but May generally brings less precipitation and more sunshine to Southeast Alaska (and the Inside Passage) than other months, and the daily temperature is warming up for summer as well. With Alaska's peak travel season not yet underway, enjoy the peace and tranquility that comes with one of the wildest and most beautiful places on the planet. Of the few warm summer months in Alaska, June has the longest days all year, with summer solstice falling on the 20th. Southeast Alaska experiences daylight nearly around the clock in June, making it a good time to see everything there is to see on an Alaskan cruise. Wildlife is visibly abundant, with whales making their journey back into Alaskan waters from Hawaii. There is a heavy concentration of humpback whales in Southeast Alaskan waters during the summer months, and it is not uncommon to see them feeding with their young. There are also grey whales, orcas, Dall porpoise, seals, sea lions and sea otters inhabiting the area where the Sikumi cruises. 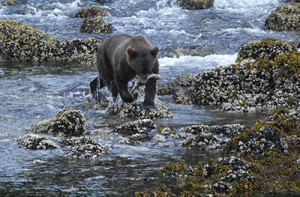 And look ashore for black and brown bears who are in full swing for summer, hunting and fishing for food. June brings wildflowers, lush green forest and mild temperatures to Southeast Alaska, making it a perfect time to explore. Because of the Sikumi's size, guests are awarded the opportunity to get off the boat and hike and kayak around to get a closer look at what Alaska is all about. Summer solstice is an exciting time all over Alaska, so make plans to visit a town or festival before or after your custom Alaska cruise on the Sikumi. "Our adventure was close to its end... I could feel the nostalgia growing inside me. I would miss this boat and her crew. Our once-in-a-lifetime experience was their routine, and I couldn't help but envy them." The month of July is a great time to enjoy the many things that the Alaskan wilderness has to offer. 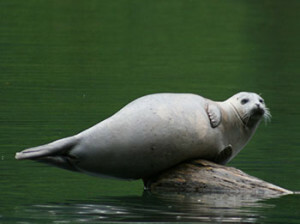 The sunny days and amazing wildlife activity make July cruises very special indeed. What better way to celebrate July 4th than to be aboard the Sikumi experiencing all the beauty Southeast Alaska has to offer. July, being the heart of summer, brings long daylight hours and nice temperatures to Alaska. The heart of summer in Southeast Alaska brings with it lush green landscape and active wildlife. 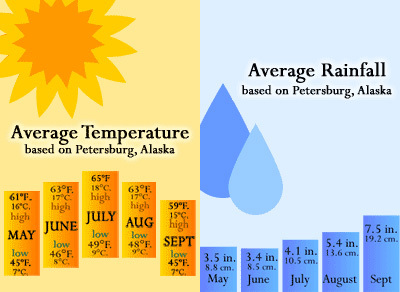 July is perhaps the sunniest month of the Alaskan calendar. No other single month holds as many long and sunny days as July. In addition, rain seems to fall with less frequency and in smaller amounts during July. Whales have already made their return trip to Alaska from Hawaii by this time, providing a spectacle for passengers. 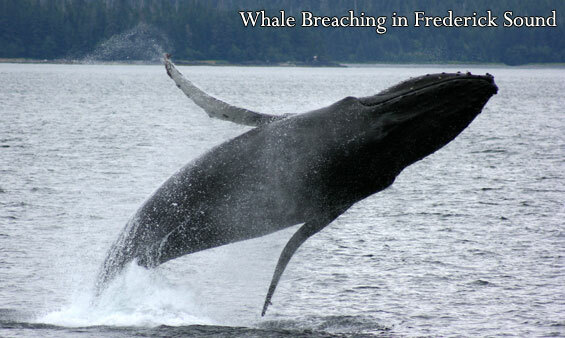 Frederick Sound is a favorite spot to visit this time of year, as thousands of whales can be observed bubble net feeding with their babies. Brown and black bears are out and about hunting and fishing for salmon in the streams and rivers of Alaska. Wildlife is not the only active part of Alaska in July. Alaska's glaciers are actually active and alive year-round. But the warmer temperatures of July cause the glaciers to calve and tumble into the sea, which is a powerful and extraordinary force to witness. Watch this video from the deck of the M/V Sikumi. We will take you as close as humanly possible to these glaciers, so you can see firsthand just how massive the bergs are. Because of the high temperatures, the waters are generally free of debris, allowing some of the closest iceberg viewing of the year. All the things you envision Alaska Cruising to be about; blooming, colorful wildflowers, lush, majestic mountains and active glaciers and wildlife, are yours to experience during the month of July aboard the Sikumi. Our July cruises are some of the crew's favorites. The long July days bring a welcome reprieve after the cold and dark winter. We'd love to bring you aboard for one of this years July cruises. August is a great time to visit the far north and indulge in a luxury Alaskan cruise. It is still warm, the days are long, all of the whales and migratory birds have yet to head south for the winter, and all of the businesses that cater to tourists have gotten all of their early season hiccups out of the way. Whales and bears alike are feeding before the long winter takes hold once again. A dense population of humpbacks feeds in the waters of Southeast Alaska preparing for their journey back to Hawaiian waters. Bears are fattening up for their long, winter hibernation, and migratory birds prepare to head South. Alaska is alive with activity in August, and the warm, summer days of Southeast Alaska cause the landscape to move and change. Experience the powerful and incredible force of calving glaciers and moving icebergs. And there is still plenty of daylight in August to experience all you can take in aboard the Sikumi. It can rain more in August than in other months, but it can be beautiful as well. Alaska is a fickle state, and the weather can be unpredictable - clouds and rain one day and warm, clear skies the next. August also has another reward; since the season peaks on August 15, if you come after that, you will see Alaska without all of the intense summer crowds. No matter the date, we can guarantee that once you step aboard the Sikumi, your trip will be a once-in-a-lifetime experience, out and away from it all in the Alaskan wilderness. Treat yourself to a custom Alaska cruise this fall after the kids go back to school. September in Southeast Alaska is when autumn starts to sink in, and just like any other season in Alaska, there are countless reasons to plan a vacation around this time. Peak tourist season is over by September, so Alaska will once again be quiet as everyone prepares for another long, white winter, including the wildlife. Black and brown bears will be stuffing themselves in preparation for winter hibernation and migratory birds will be preparing for a long flight south, while other animals are ready to hang in there for the Alaskan winter. Bald eagles can be seen flying above or sitting in trees despite the season. Sea otters, sea lions, orcas and Dall porpoise aren't picky about the weather either. Alaska experiences some beautiful fall foliage in September, as well. The mountainsides turn beautiful shades of gold and yellow, and the mountains begin to collect snow on their peaks. As the nights grow darker and longer, there is a very good chance to catch the awe inspiring Aurora Borealis, Alaska's northern lights. Imagine cruising aboard the Sikumi and looking into the night sky to see dancing curtains and swirls of light. September is a magical time to visit Southeast Alaska. If any of this has peaked your interest, contact us for scheduling an Alaska Cruise.